Barnes and Noble may be going back and forth on its Android tablets, but the booksellers aren't wavering on e-ink. Meet the new Nook GlowLight, a light, white re-imagining of the front-lit reader we loved so well, back for a second shot at the throne. At first glance, the new Nook GlowLight looks like a totally different gadget than its forebear, complete with a new, bulgier, roundish design, cushioned outer edges, and a bright white color that most reminiscent of a early issue Kindle. It's definitely an eye-catcher, if just a little bit Fisher-Price. But underneath that surface, the new Nook GlowLight boasts a lot of smallish, but still impressive advancement, much like the Kindle Paperwhite 2013. The new 6.2 ounce GlowLight is a bit lighter than both the 7.3 ounce Paperwhite and its own 7 ounce predecessor. It also flashes black to reset its screen less. Way less. In fact, the new GlowLight doesn't have to flash black at all in reading mode. The more picture-heavy UI (which has a new, streamlined look on the new Nook) is a different story, but no black flashes in the middle of a thriller is clutch. The new Nook GlowLight also has a higher-resolution screen than last year's model, bringing it up to par with the OG Paperwhite, if not up to (admittedly absurd) Kobo Aura HD levels. And its on-board storage of 4GB doubles that of Amazon's offering, although both can hold far more books than you could reasonably expect to read in either's lifetime. Of course, all this is on top of a front light that—in the short time we got to spend with one—seemed to put out a brighter, more even glow than the Paperwhite does. But the real killer feature here is price. 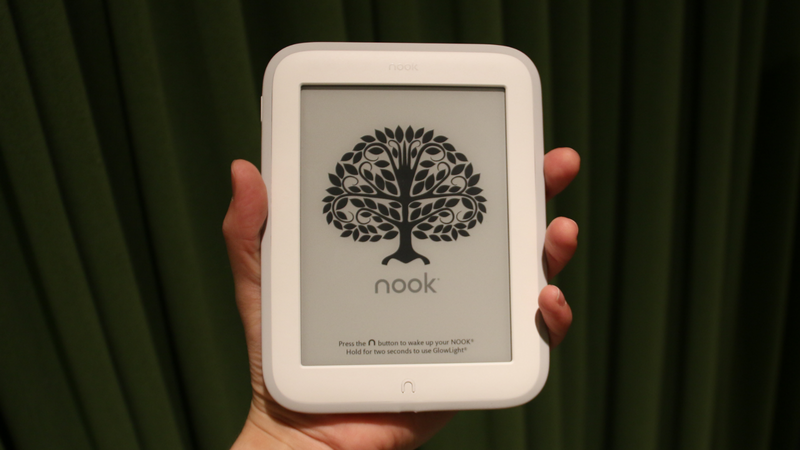 Barnes and Noble had previously cut the price of its original Nook GlowLights to go head to head with the Kindle Paperwhite, and the new Nook starts there. It's available at your local Barnes and Noble starting today for just $120, which is the same price as a Kindle Paperwhite with ads and twenty bucks less than a Paperwhite without. Barnes and Nobles members (are there any of you out there?) get another 10 percent off. When you're coming up against Amazon, you've got one hell of a fight on pricing and ecosystem, but with $120 GlowLights, Barnes and Noble is coming out guns blazing. Good thing, too. Everybody likes a good fight.